Scoreboard : Showing the Victory goal that must be achieved to win the match and the number of goals that have been made by the two teams. 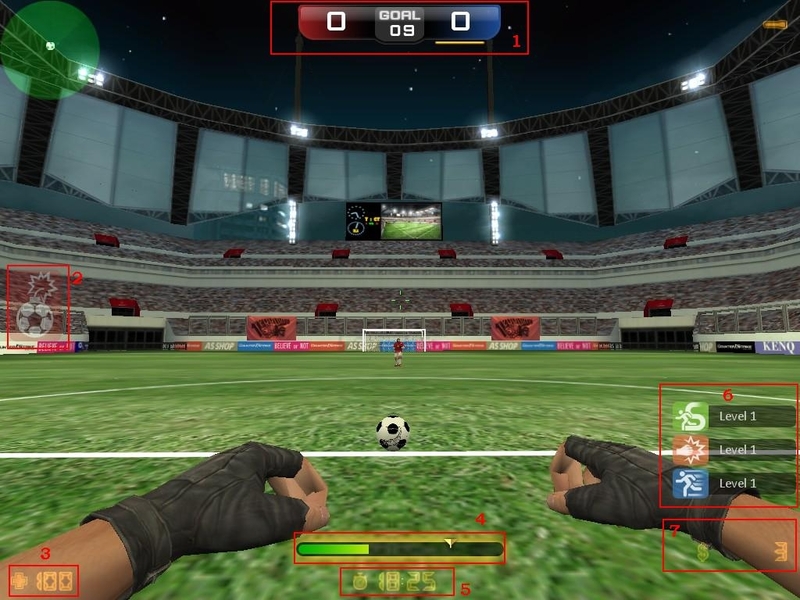 Bomb ball : If the player carries the ball for too long then this bar will fill and if this bar is full then the bomb will explode and make the player unable to move for a while. Time : Show the time left in this game. Physical Upgrade Status: Displays the level of upgrades that you have. the higher the level of upgrade, the more your ability will increase. press the B button to upgrade. Money: the amount of money you have. every time you score a goal, give a pass and be in the area of your own goal add money and this money is used to upgrade . Stamina : Every time you upgrade your Stamina, the blood you have will increase and the higher your stamina, the longer you can sprint. Strength : Strength upgrades will increase your kick strength and ability to grab the ball from your opponent. Agility : Upgrading Agility will increase speed in doing sprints and agility in motion. Special shoot is a different kick with a normal kick, there are three types of special shoot and all three have differences. 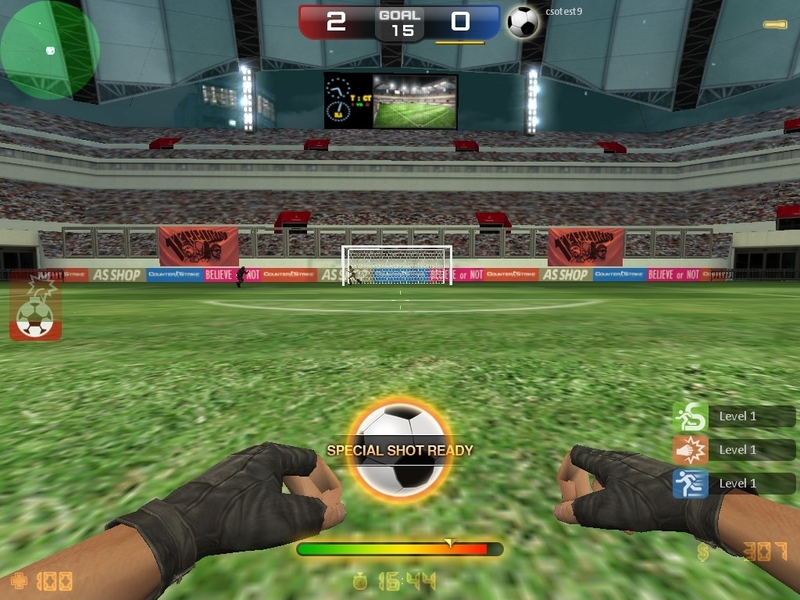 to use a special shoot the player must have a stamina bar of at least 75 percent and is in a state of carrying the ball. Then hold left click until full then release. although it has a very great distance and strength but special shoot can still be detained or deviated from the target. below are special shoot types. Fire Shoot : It is a special shoot that was available from the start. the resulting kick has far greater strength than the usual kick. Cannon Shoot : It is a very powerful kick this kick goes straight towards the specified direction. Hawk Shoot : this kick is very difficult to hold because the ball that rises to the top then dives very sharply towards the goal. If usually humans will only fight zombies, humans or robots this time the Human Forces will fight someone who has unusual abilities. In Hidden mode human forces will fight a Hidden magician, to defeat it is not easy because you cannot see it. Hidden mode type deathmatch team but here human will only fight Hidden magician alone, at the beginning of the game one person will be chosen who will become a Hidden magician. 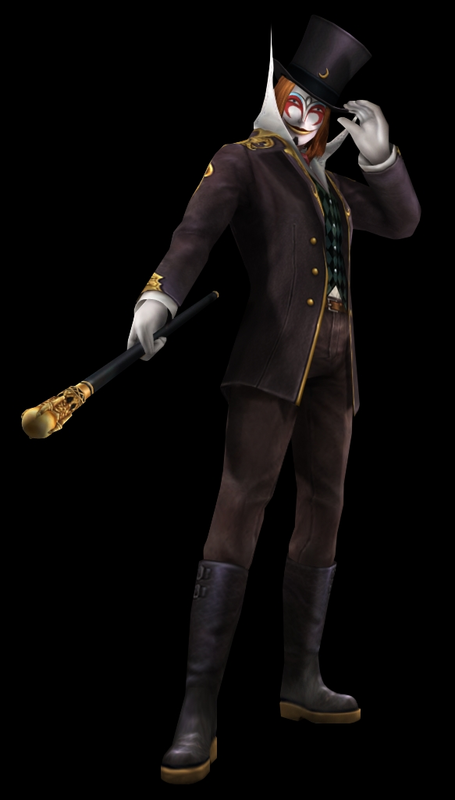 the purpose of the hidden magician is to kill as many people as possible, while for humans is to find and defeat it. The human who managed to kill the Hidden magician would gain his abilities and become the next Hidden magician. Hidden magician has the ability to disappear which makes the body almost invisible at all, but every hidden magician attacks, his body will be visible for a while besides if it takes too long to not kill the human body will be visible. He also has the ability to run and jump equivalent to zombies. 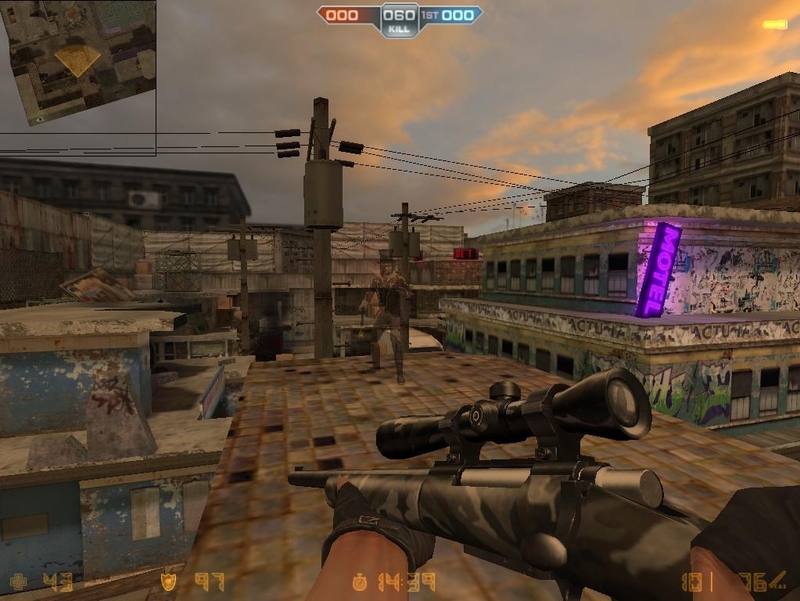 The latest fashion from Counter-Strike Online is called bazooka battle, according to its name, the soldier will fight using only bazooka. A battle will be carried out on a special map called blackout. 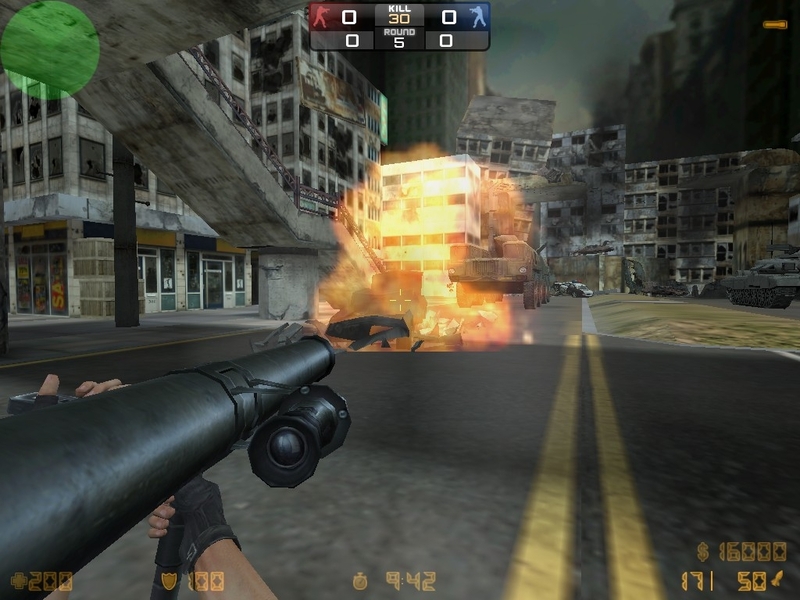 in this map there are various vehicles and objects that can be destroyed using bazooka. 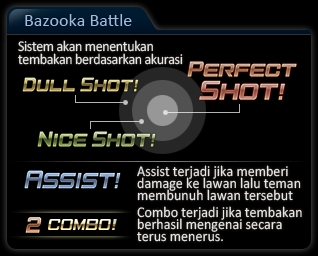 There are a number of things that are quite different in this bazooka battle mode. That is the movement speed and jump of the character will increase then the blood of the larger character and soldier can only use bazooka and knife. In the bazooka battle soldier mode, just shoot the bazooka towards the other soldier until the other soldier runs out of blood. In addition there was some information about the accuracy of the shot when the soldier shot a bazooka about another soldier. Perfect Shot means the perfect shot and will result in one hit kill towards the other soldier, Nice shot means a very good shot but not deadly and the Dull shot means that the shot is blunt or just grazed and does not cause great damage. 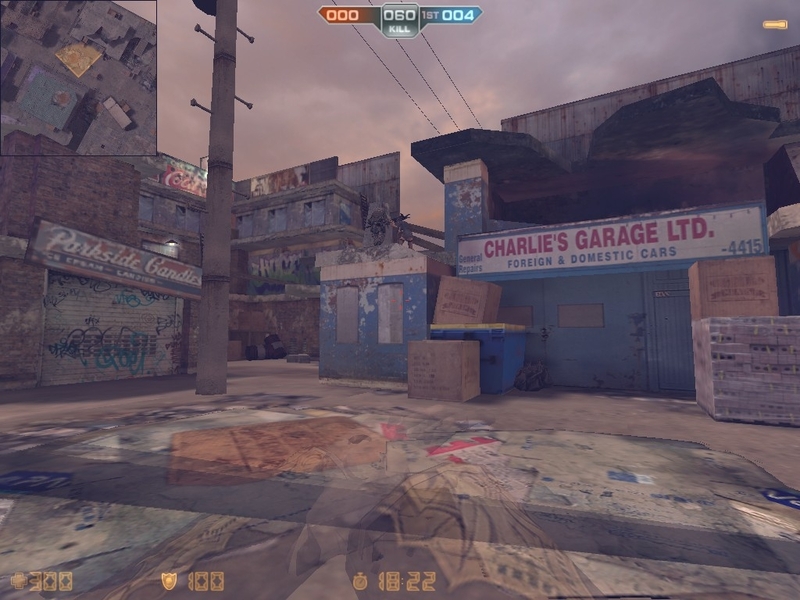 One Fun mode called Item battle, In this mode the soldier will fight the other soldier on a map but there are various items that can be taken on the map. These items have different strengths. This mode is similar to Zombie union mode but there are no zombies. 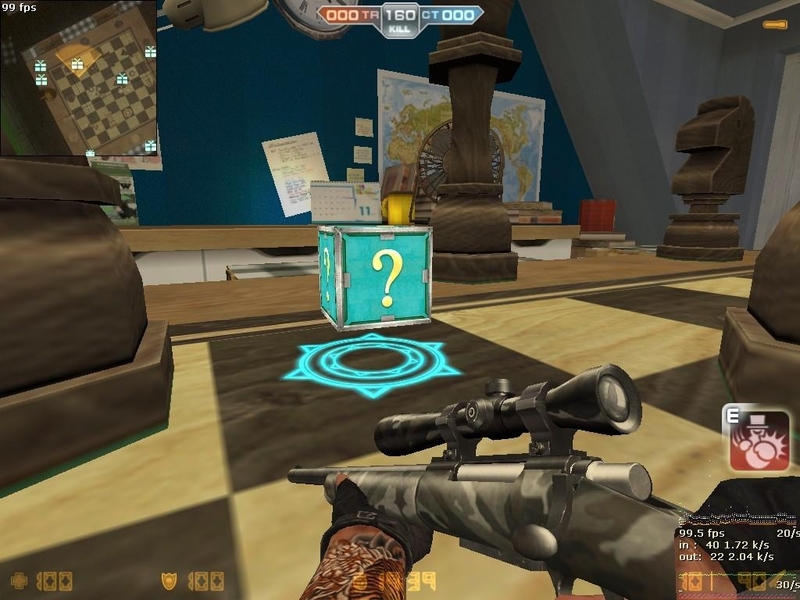 To issue items, use the [E] button, keep in mind that the soldier can only store one item, and the items used will be lost after use.